Finally this album will be available again. Originally released in 1997 on Helicopter Records in approx. 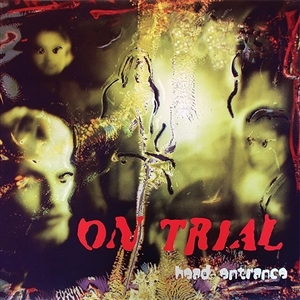 400 copies, Head Entrance has long been one of the most hard to get On Trial releases. Formed in 1986 On Trial was an important part of the Danish acid rock, garage and stoner rock scene and Head Entrance was the first album in a trio of their best work. New Day Rising followed in 1999 and Blinded By The Sun in 2002. Later on members of On Trial spawned acts such as Baby Woodrose, Spids Nogenhat, Dragontears, Vilde Græs and many more. Head Entrance was recorded strictly analogue on an 8-track machine in the rehearsal-room of On Trial in 1996 and the music has been transferred from the original mix tapes in 2018 by Anders Onsberg and remastered for vinyl by Flemming Rasmussen at Sweet Silence. This re-issue comes in a neat gatefold sleeve with an insert and the first print is limited to 500 copies on black vinyl.